The Key to being successful as a creative. I wanted to laugh and reply with the very same question to the one who was asking me! Thankfully, I had a moment to recognized that my initial response before I had to reply. By comparing my interviewer’s perspective of my success with my not-so-beautiful-reality (and my perspective of his social media posts to what may not be as amazing as his reality) I was falling into the trap of comparison, the very thing we each must each overcome in order to become “successful” at anything. I was feeling a bit overwhelmed with my to do list, when a dear friend of mine presented this very powerful question. It put life back into proper perspective for me and my hope is that it will for you as well. Take some time today to check your foundation. What are your holdfasts attached to? If it’s anything of this world, it will pass away. Your rock will be thrown around by the storms of this life, and you’ll find yourself out in the open and exposed.Instead, dig down to the solid foundation that is Jesus Christ, who is the Rock of our salvation! Come to Him, listen, and obey. Through faith in Him we are counted as righteous, and “the root of the righteous will never be moved” (Proverbs 12:3 ESV). Ambitious. Hard-working. Multi-tasking–these words describe most women in today’s culture. Dreamers, with great desires for ourselves and our families. We are strong and courageous and are willing to give up so that others can get. As emotional and relational beings, our mood sets the atmosphere around us. When we are peaceful, others relax. When we are joyful, others enjoy themselves. We should not underestimate the power of our presence because, when we recognize our influence, we can make a difference in our world. By definition, a gamine is a feminine example of a mischievous young boy who typically cares little about his appearance, yet has enormous charm. The french term for this boy is gamin, thus the term Gamine for the Bold Beauty, a girl (of any age) with great passion for inspiring fun and enforcing justice. Don’t you just admire disciplined women, who guard their schedules and take care of themselves without neglecting their responsibilities? Their home is in order, their finances are planned. They workout, rest well, eat right and take time to play. And they don’t feel guilty about it. Who do you know that meets that description? There’s a good chance that person is a Classic or a Gamine–or any style of beauty who is committed to self-improvement. Self-discipline does not come easily. Although it looks different to each of us, we all want our lives to be in order. Yet few of us actually get there. According to my own observations, it seems that some personalities struggle with this more than others. By nature the Classic and the Gamine are simply more organized and task oriented. Some of us admire self-discipline; these girls desire it. This is why they often attain it quicker than the rest of us. It is “Giving Tuesday,” a lot of wonderful organizations receive a great part of their funds this one day of the year. (I sure got a lot of requests, did you?) I know that giving is a great way to start the Christmas season and of course I want to support the many wonderful causes, but honestly, I struggle with stinginess. After all, there’s shopping to do–gifts to buy–what if I run out of money and don’t get to spoil my kids the way I want to? I am reminded of a time in my life when I wrestled with God over my attitude. Financial fears were robbing me from enjoying my abundant blessings. I was sitting at my kitchen counter having a quiet moment of reflection. Looking around at my new house, I was overwhelmed by all the shopping that needed to be done to make the big, empty space into a home. There are some lessons in life that we may have to learn over and over before we really get them. I’m not sure I’ve got the generosity thing down yet, but in honor of Giving Tuesday, I thought I would practice what I’m learning (again) by giving away what I feel is one of my best accomplishments, my book. I will give you a copy of Confident Beauty, Reflecting the One Who Made You with the Images in your Mirror and in your Soul, but I want you to give it away to anyone in your life who has or is facing some kind of Image Issue (and yes, you can make it a Christmas gift). Deal? An Image Issue is any physical, emotional or spiritual Beauty Battle that challenges your confidence and makes you feel ugly, ashamed, invisible, unwanted… It could be a birthmark, an inability, or disproportion that makes you HATE, HIDE, or get HUNG UP on your appearance. It may show itself as weight issues, skin problems, eating disorders, addictions, social stigmas or OCD. It may drive you to act with disgrace, or strive for perfection. It may look like popularity and dress like a diva or appear humble, care free or completely grunge. Others may see it as an over-concern for fashion, makeup or piercings, or it could be a total lack of concern for body image. Beauty out of balance is not beautiful. Confident Beauty is a balance of caring for self and for others, and that’s what my book is all about. The greatest thing I could give you or the one you love is the insights I found and share in Confident Beauty. Image issues show up in a number of ways, but they all come down to one thing: beauty out of balance is far from confident. Truth is what sets us free. Do you have a woman or girl in your life who could use some help understanding herself and the emotional (and spiritual!) battle she faces? If you want to give her something that can help her become a Confident Beauty–inside and out–then please click the button below. Tonight I am giving away 10 audiobook 3 paperback books for FREE. Just click the button below to tell me where (and which type) to send your copy. Note: there is also a QR code to get a FREE ebook in the cover of every paperback copy of Confident Beauty (on any day of the year). Of course we would all prefer to be the second type, but in reality, most of us are not. When I think of the woman who says, “Here I am!” I feel embarrassed for her–you may feel something stronger. How childish to demand attention! How vain and selfish! We don’t want to be like that. Yet if we are honest, we must admit that deep within us, there’s a little girl’s heart that would also love to be noticed. Like a clown at the circus, some of us are spinning too many plates just trying to make ends meet. We are stressed and striving and seldom finding a moment to unwind for fear of breaking a pice of fine china. At least that’s how I feel right now. I’d tell you all the things I have up on poles wobbling in circles right now, but I’m not sure that would be very encouraging. Busyness may be entertaining at the circus, but in everyday life it is more like call to competition. As soon as you proclaim to be busy the misery match begins. It’s as if busyness has become a badge of honor. Some people seek out their significance with fame or wealth, some with beauty or popularity. It seems to me, however, that nearly all of us (yes, myself included!) find busyness to be the area we hope to find satisfaction in one day… You know the day: it’s right after the next projects are completed–that’s when we will pause and enjoy the rest that we hope to earn by then. I spent today at Geek Girl Tech Conference. I learned so much my brain is exploding. I learned I should keep blogging and start doing a whole lot more. Yet I know that I can only do so much, and without rest and peace I am nothing and I have nothing to offer. It is times like these when it is good to dig deep into our root system and remember where to find our strength. and who meditates on his law day and night. If you are feeling overwhelmed and overspent today, I encourage you to trust in the source of your strength. You may not be able to keep all the plates spinning without your help, but a strong tree does not grow wilted and weak because of great winds or little rain because its roots go deep though the dirt directly to the Living Water. May you find your rest in the knowledge that God is your strength and He has given you all that you need to keep bearing fruit. After all, the fruit you share with your world is true success. Catrina Welch is an inspirational author and speaker whose passion is empowering women and girls to BE and LET BE. Her expertise as a cosmetologist, image consultant and Biblical life-coach, as well as her personal experiences with abandonment and grief make her message relatable to anyone dealing with rejection, betrayal or loss. Her latest book, CONFIDENT BEAUTY: Reflecting the One Who Made You, with the Images in your Mirror and in your Soul, is now available as an audiobook you can find it on amazon, Audible.com, or iTunes. Should you Say Yes to the Dress? An estimated 198,000,000 roses were given out this week to women all over the country. My daughter and I each got a dozen of them. Her’s are white, mine red. My husband teased us as we debated over which vase we would each use to display their beauty. It is important that all the flowers fit properly into a vase; the stems must be supported without being crowded. But it’s more than that. The color should compliment the flowers and accentuate the best parts of the arrangement. Choosing the wrong size or color vase is not the only thing that could take away from the beauty of a bouquet. Roses are a classic representation of beauty. Throughout the years, they have become accepted in all sorts of vases. 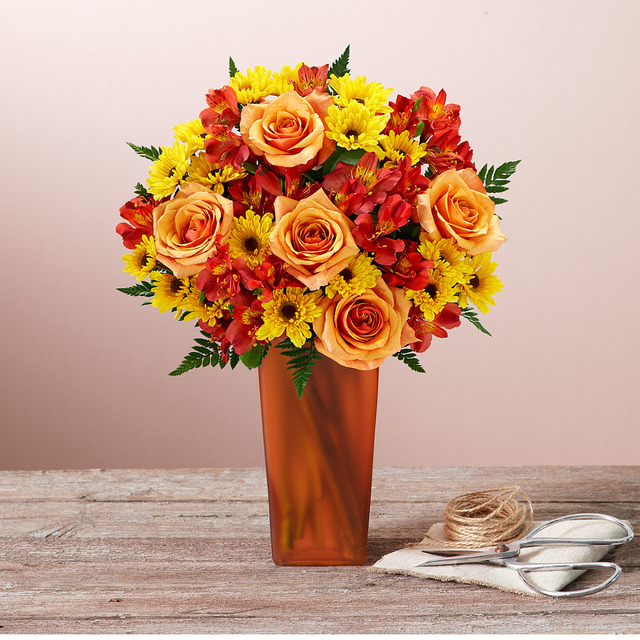 Perhaps it is their simplicity and versatility that makes them so desirable no matter what they “wear,” but without a doubt this refined flower is most stunning in a classy, well-finished vase. Imagine a simple bouquet of wild flowers in that high-quality vase. A little awkward don’t you think? How about an exotic, tropical arrangement in a earthen vessel? Some styles just don’t compliment each other well, instead they compete with each other. Your beauty is like that. Like flowers, women come in all sorts of styles and what we wear is what holds us up with dignity, like a vase. When we chose outfits that do not compliment our authentic style (our personal Img.ID) our image is actually competing with our beauty. Yes, a bouquet of flowers in a vase which is completely opposite its style can still make a beautiful statement, but the statement that a woman makes when wearing an outfit that doesn’t compliment her style isn’t usually favorable. I’ve witnessed a lot of these unfavorable statements this week as I have been out prom-dress shopping. Just because you like a style doesn’t mean it likes you. This statement may be hard to hear, but understanding it will make your life easier. I was shopping with girls who knew their Img.ID; they tried on half as many dresses as the girls we saw going into the changing rooms excited and coming out disappointed, frustrated and exhausted. Like the rose, the Classic Beauty should dress in high-quality attire with well-finished touches, keeping her focus on traditional looks and avoiding any extremes. Like a daisy, the Natural Beauty should dress casually; when she is required to be more formal she should keep her look very simple and be sure to include texture (nothing too smooth). Like the tropical flowers, the Dramatic Beauty should dress in high-fashion, especially for formal occasions, keeping her lines straight and avoiding frills. Like the baby’s breath, the Ingénue Beauty should dress in youthful, feminine looks in lightweight fabrics. She should include frills, lace or tucks. Like the orchid, the Romantic Beauty should dress in soft, sophisticated, feminine looks that flow over her curves. She should avoid anything tight, revealing or low quality and consider floral or feathery patterns. Like the calla lily, the Gamine Beauty should dress in sleek styles with tailored edges and bold, contrasting colors (at least three). She should avoid rough textures and anything sheer, flimsy, delicate or plain. My world came to a holt last week. When someone you love is fighting for her life, it is hard to continue yours. Things that used to seem so important just don’t matter anymore. At the same time, priorities that used to be mundane begin to hold much more weight. It’s times like this when we need a strength beyond our own. My “What2Wear Wednesday“ blog is coming out a bit late in the day because I really couldn’t find the words of encouragement to share this morning. In all my worry for my family I forgot to get dressed. Proverbs 31:25 She is clothed with strength and dignity, and she laughs without fear of the future. Don’t you just wish you could be like the Proverbs 31 woman? I do. Talk about Confident Beauty! I want to “laugh without fear of the future” but instead I am burdened with stress. Was this ancient woman really filled with joy even when life was difficult? If she really found the secret, then certainly each of us can, too! Honestly, I think the key to her confidence is that she knew What2Wear. She wore strength and dignity. I could use some strength right now, couldn’t you? Where can we find the beautiful garment of strength? And dignity, do we even know what that is anymore? the state or quality of being worthy of honor or respect: a man of dignity and unbending principle | the dignity of labor. • a composed or serious manner or style: he bowed with great dignity. • a sense of pride in oneself; self-respect: it was beneath his dignity to shout. • a high or honorable rank or position: he promised dignities to the nobles in return for his rival’s murder. Sometimes when I read Proverbs 31, I feel as if I could never measure up to the amazing woman described there. It’s only natural to I criticize her, “surely she had no problems! Or else she was very naive.” But the definition of dignity ruins thisjudgment, doesn’t it? She wasn’t a laughing fool trying to hide her fear and pain. She had dignity. Today I am challenged to remain composed with a self-respect that allows feelings–but does not allow fear–in the face of life’s difficulties. If you, too, are ready to face the days ahead with strength, dignity and joy, come what may, then would you join me in making a commitment to no longer laugh as if there are no problems and no longer allow our world to come to a holt when the problems are big? Let us look to Proverbs 31 for What2Wear and choose what attitudes we wear with wisdom so that we can laugh at the days to come. The best part is, we do not have to purchase the “garment” we can borrow the strength and dignity of Someone who paid a big price for it.